The burger is the greatest American sandwich of all. Juicy meat, cheese or plain, pickles or just good ol’ lettuce. 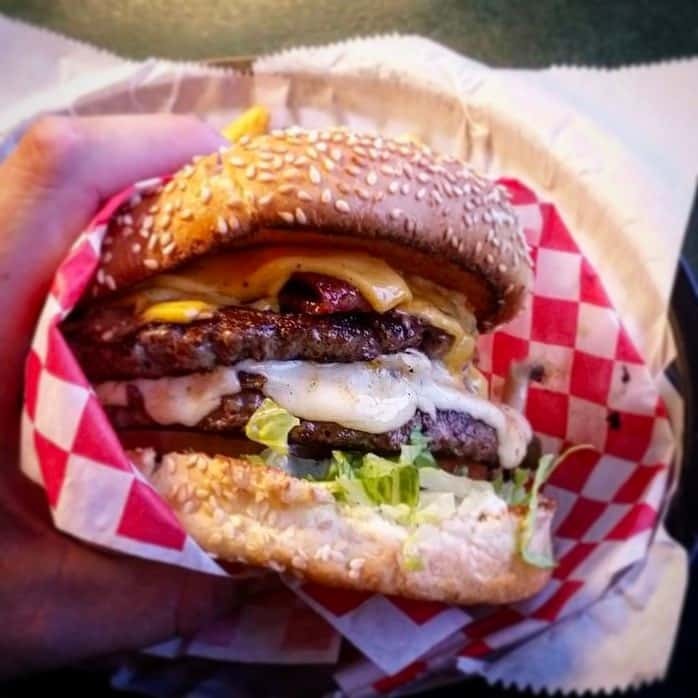 Whatever way you have it, there’s nothing more satisfying than a bite into a perfect burger. 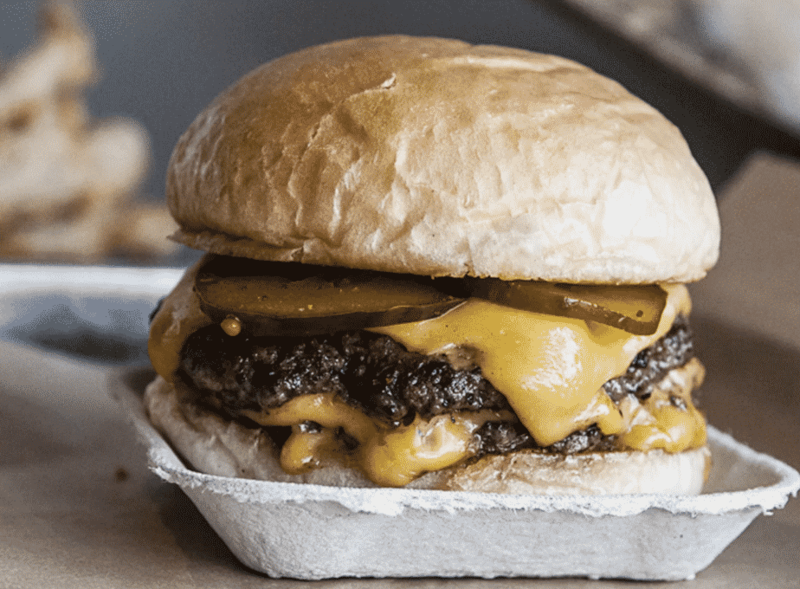 Considering it’s such an American staple, the Big 7 Travel team has scoured every state in the US for the best burgers of the land. 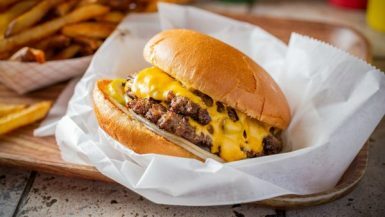 From smashed diner patties to gourmet burgers, these are the 50 best burgers in America for 2019. 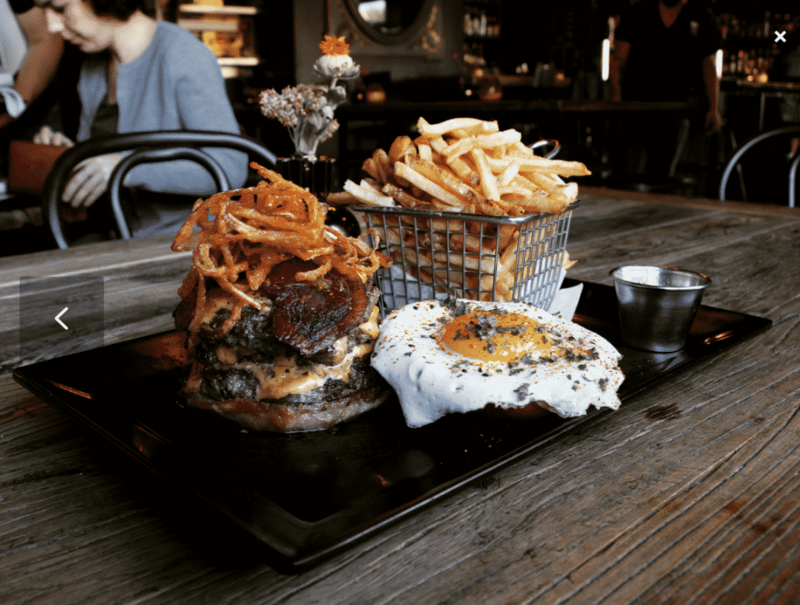 The burger menu here includes plenty of traditional creations you know and love as well as a few of the Chubbfather’s own twists on the classics. These bad boys are big, juicy and delicious. Check out the most Instagrammable spots in Alabama here. 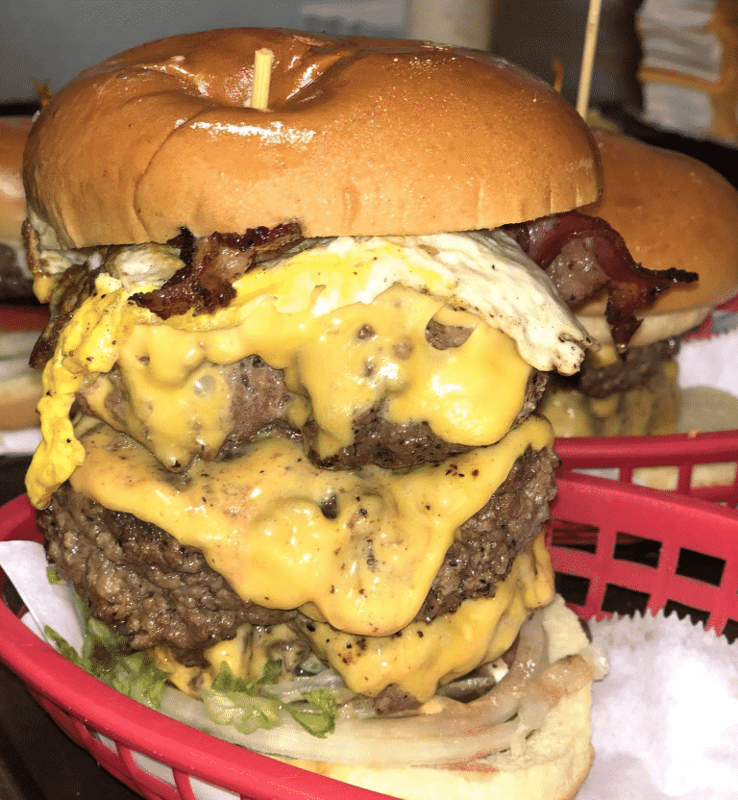 Tommy’s burgers have somewhat of a cult following from their fans far and wide, and we can see why. Their pure USDA beef patty is then seasoned with Cajun seasoning and seared to perfection. Check out the most Instagrammable spots in Alaska here. 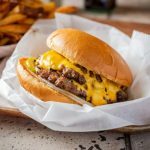 This casual burger joint may have a small menu, but when burgers taste as good as these you don’t need to mess with simple perfection. Get the salted Dulce du Leche shake to really go all out for your feast here. Check out the most Instagrammable spots in Arizona here. This family-owned restaurant is a popular stopping point from Highway 67 and is known for its juicy, square beef pattys. 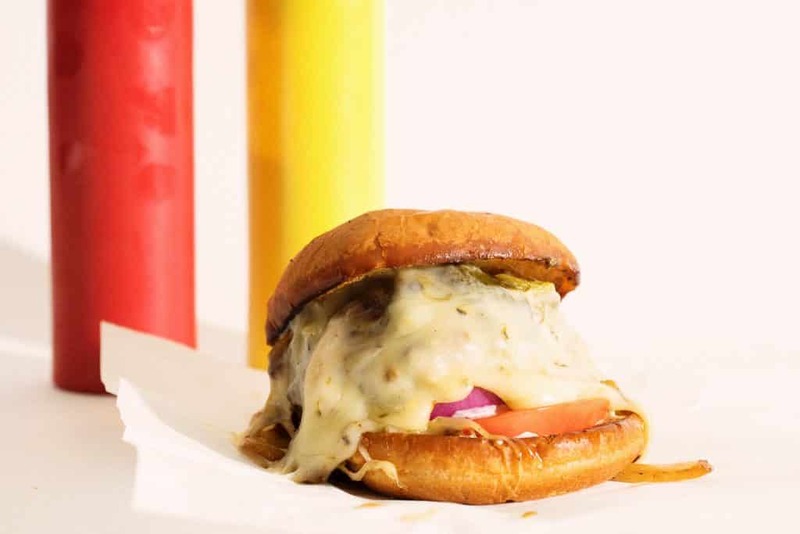 It’s a classic Drive-In spot where you can expect amazing burgers griddled with oozing American cheese. Check out the most Instagrammable spots in Arkansas here. Check out the most Instagrammable spots in California here. 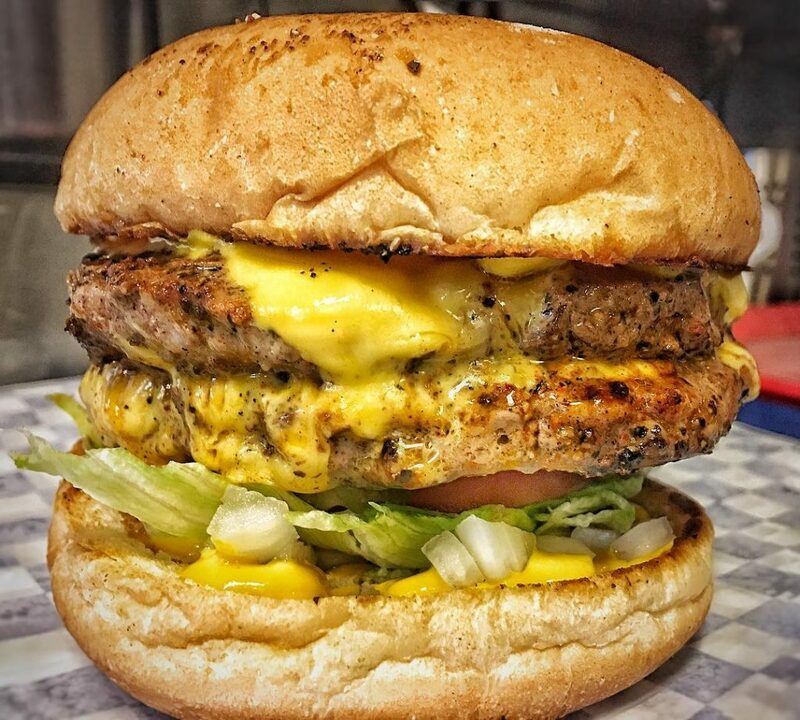 With locations all across the state, this is one burger joint that won’t let you down. Larkburger sources the freshest natural ingredients they can find, and it shows in every tasty bite. Check out the most Instagrammable spots in Colorado here. These handcrafted buns of heaven are a classic. We love the signature GoldBurger; a double burger with American cheese, lettuce, onion, pickle and GoldBurger sauce.Go with their recommendation and get the burger cooked medium – perfectly juicy and pink. Check out the most Instagrammable spots in Connecticut here. 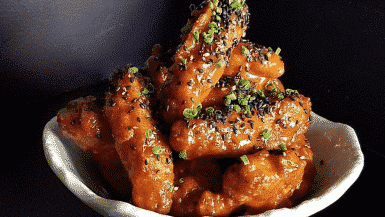 This superb gastropub has a modern farm to table dining ethos, and that flows right down to their droolworthy burgers. 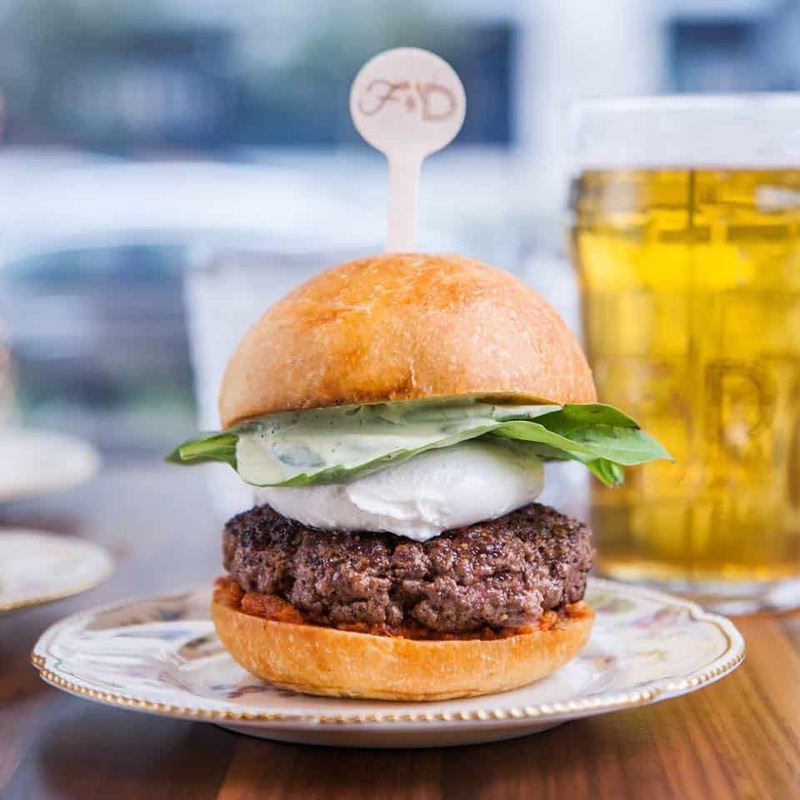 Their duck fat Angus beef burger is dripping with flavour, and comes with an onion marmalade. Check out the most Instagrammable spots in Delaware here. This beautiful sustainable burger joint is all about good vibes and even better food. 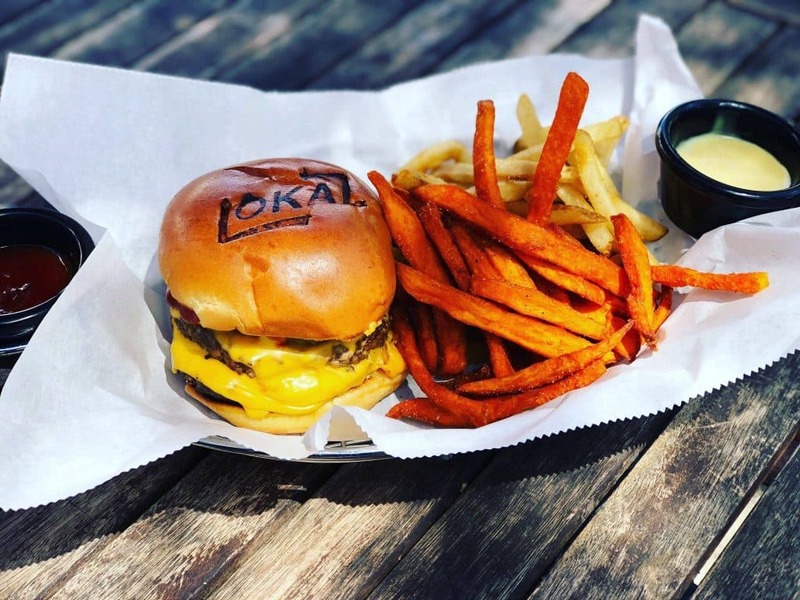 They use Florida grass-fed beef and Floridian-raised clean proteins for their burgers, which come with a range of toppings. Check out the most Instagrammable spots in Florida here. A stylish American-ingredient focused restaurant, there’s plenty of delicious things to choose from the menu here. 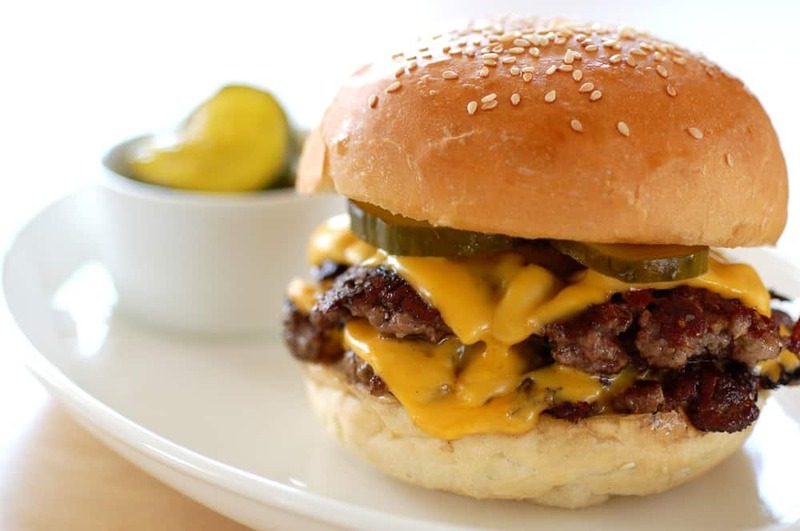 But look, you need to come here for one thing; the Bocado burger stack with American cheese and house-made pickles. 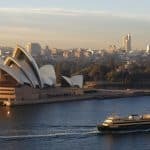 Check out the most Instagrammable spots in Georgia here. Teddy’s is a fantastic 50’s themed burger chain with a simple menu of juicy burgers, fries and shakes. They use only 100% fresh chilled ground chuck (no fillers or binders) and with locations all over, you’ll never miss out. Check out the most Instagrammable spots in Hawaii here. Hudsons has been flipping lipsmacking burgers since 1907, when this little diner first sprang into life. 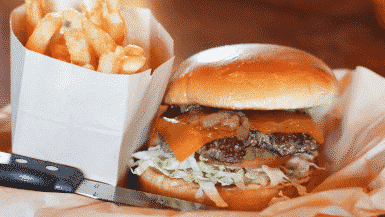 The menu is small – just hamburger or cheeseburger, with the option to double up – but the burgers are mighty. Check out the most Instagrammable spots in Idaho here. 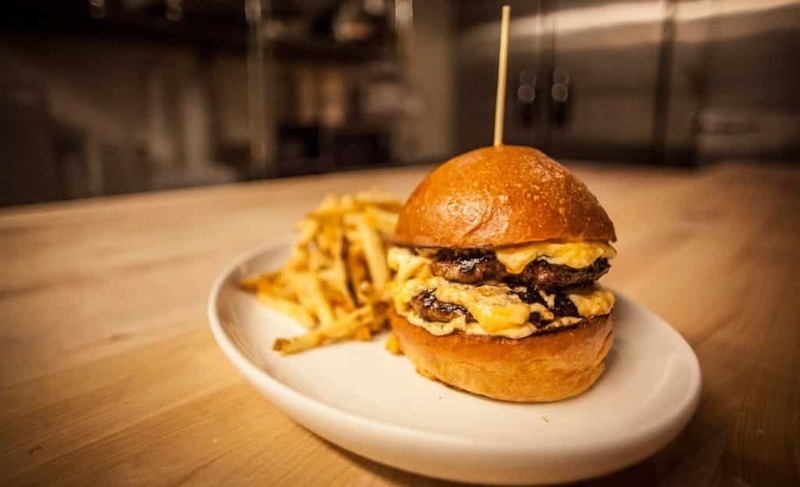 You simply have to try the Wolf Burger at this trendy restaurant. With three beef patties, creamy melted American cheese, onion straws, house-made pickles, mayo and a fried egg, it’s an absolute beast. Check out the most Instagrammable spots in Illinois here. Feeling super hungry? Get the Triple Newk. 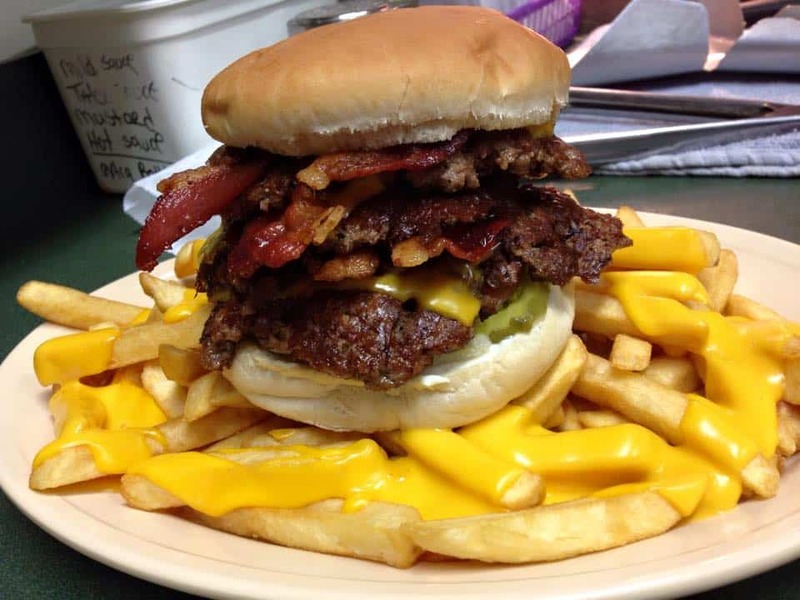 It’s a Bacon Cheeseburger made with three quarter pound patties made with locally raised 90% lean grass fed beef, three layers of cheese and three layers of bacon. Check out the most Instagrammable spots in Indiana here. 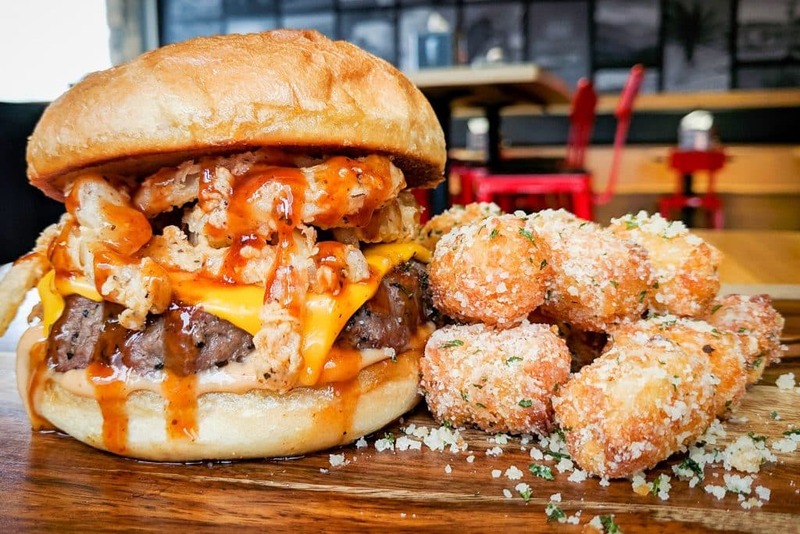 This gourmet burger restaurant goes above and beyond when it comes to flavour. 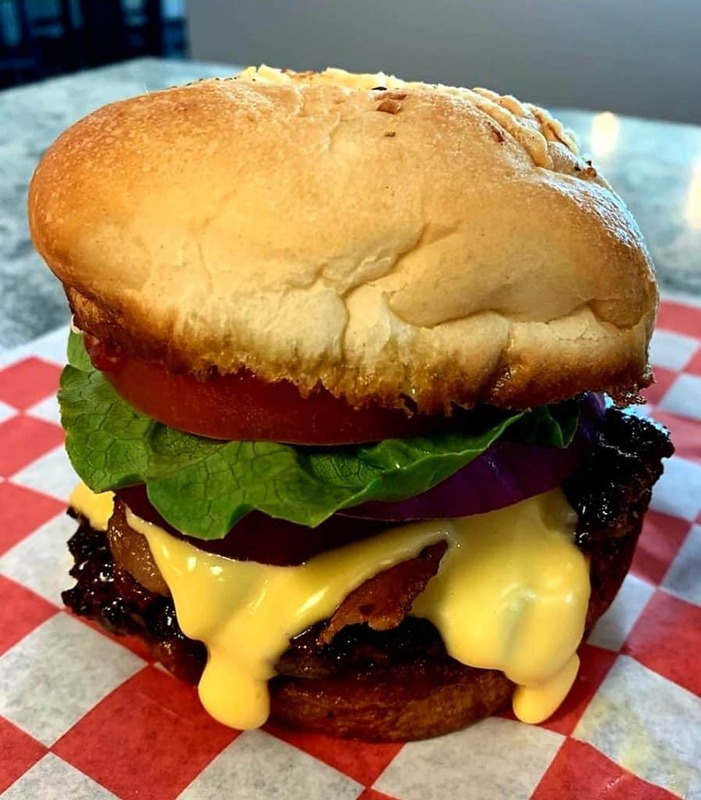 From their fresh baked bread, homemade cheese sauces to fresh pressed beef patties, the burgers here are on a whole other level. Check out the most Instagrammable spots in Iowa here. An old-school vibe and flavoursome layers of the best beef patties in Kansas make Bomber Burger a real winner. They use 81% lean ground chuck for a lean, meaty, manly burger. Check out the most Instagrammable spots in Kansas here. 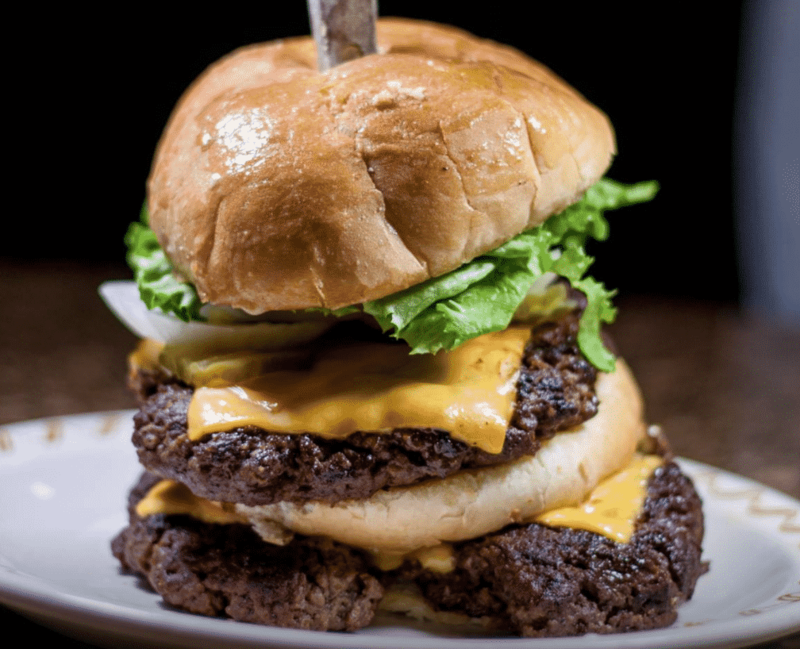 Considering Louisville is apparently the birthplace of the cheeseburger, you know you’re going to get a good one here. At Hole Grale you’ll feast on seasonal, local ingredients, and southern style. Juicy burgers in a pretzel-style. Check out the most Instagrammable spots in Kentucky here. 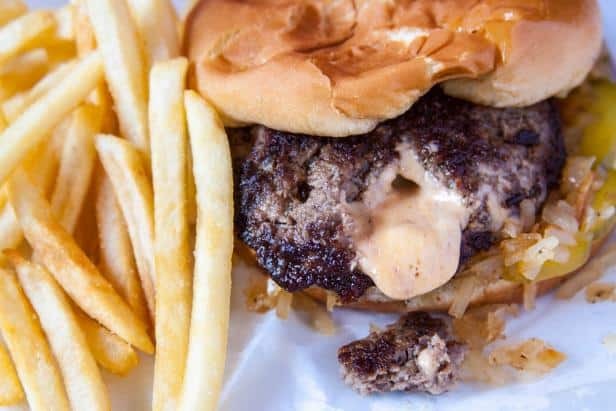 These droolworthy burgers are absolutely incredible. They make their own buns, pickles and mayo. Not only, they handcut their own fries and make their own onion rings. Delicious. Check out the most Instagrammable spots in Louisiana here. 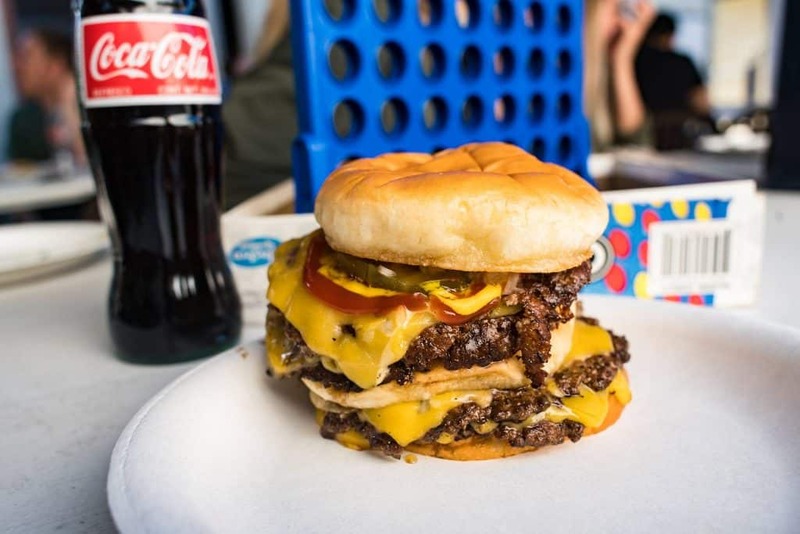 This cash-only roadside burger paradise is a classic. 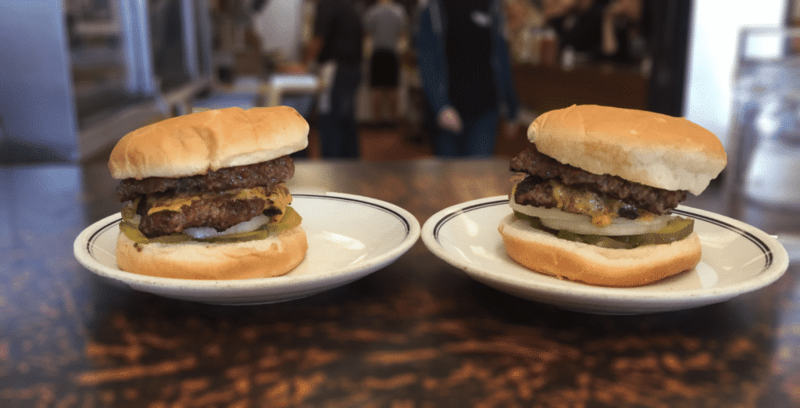 Get two double cheeseburgers with everything on them (sweet red relish, grilled onions, American cheese, and mustard) for the ultimate experience. Check out the most Instagrammable spots in Maine here. 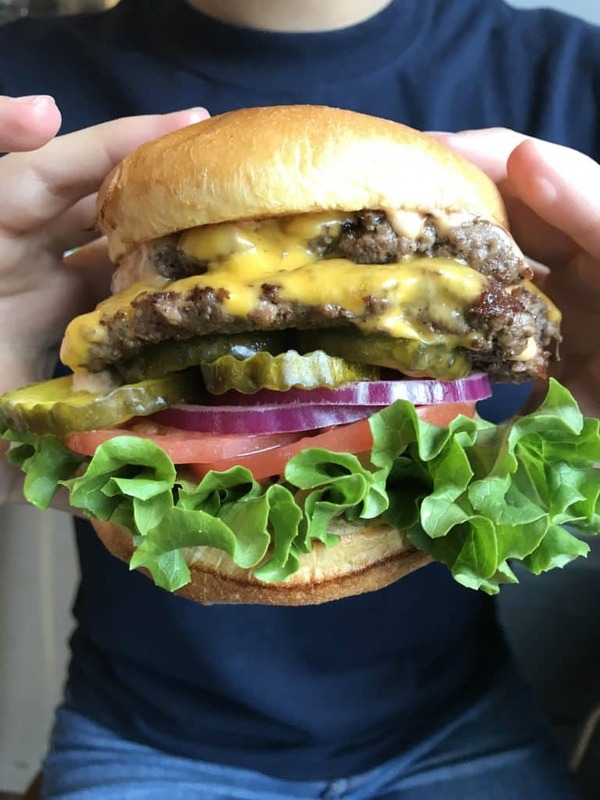 All of the sinfully good burgers at Clark’s are cooked juicy and well done, with always fresh, never frozen, antibiotic-free certified black angus beef on toasted brioche. They also do great Poutine if you’re feeling up to a big feed. Check out the most Instagrammable spots in Maryland here. 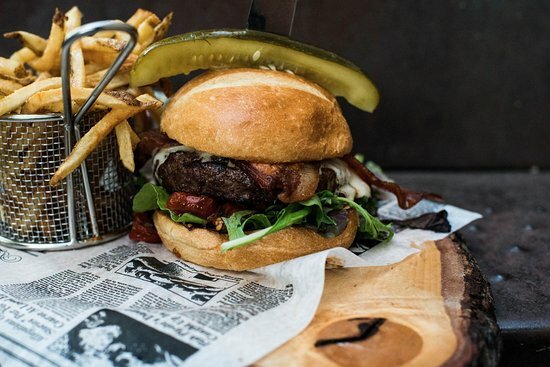 The secret burger at this rustic-chic restaurant is unlike any you’ve tried before. 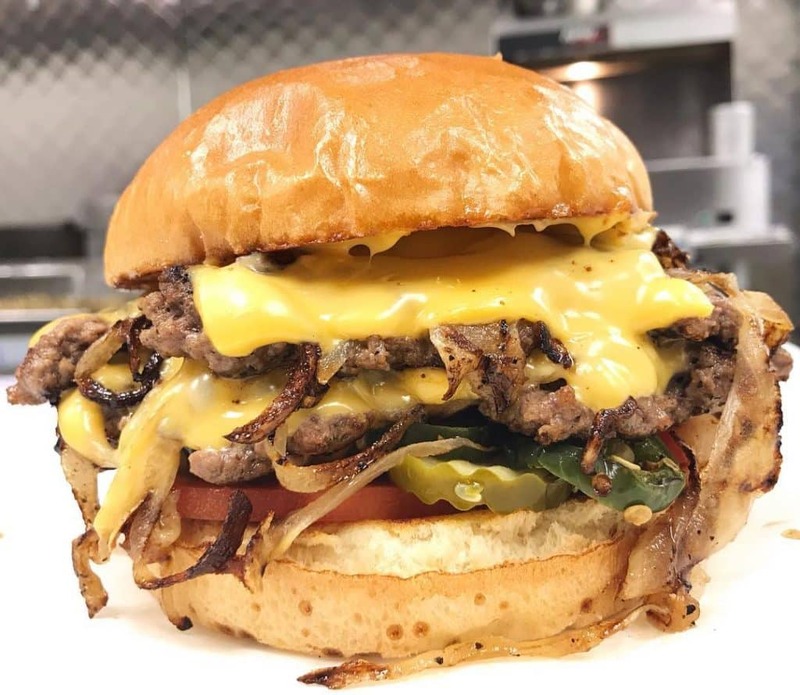 A blend that includes Creekstone Farms brisket, short rib, and beef makes for the juiciest, most tender patty in town. Just remember – there’s limited availability each night, so arrive early. Check out the most Instagrammable spots in Massachusetts here. 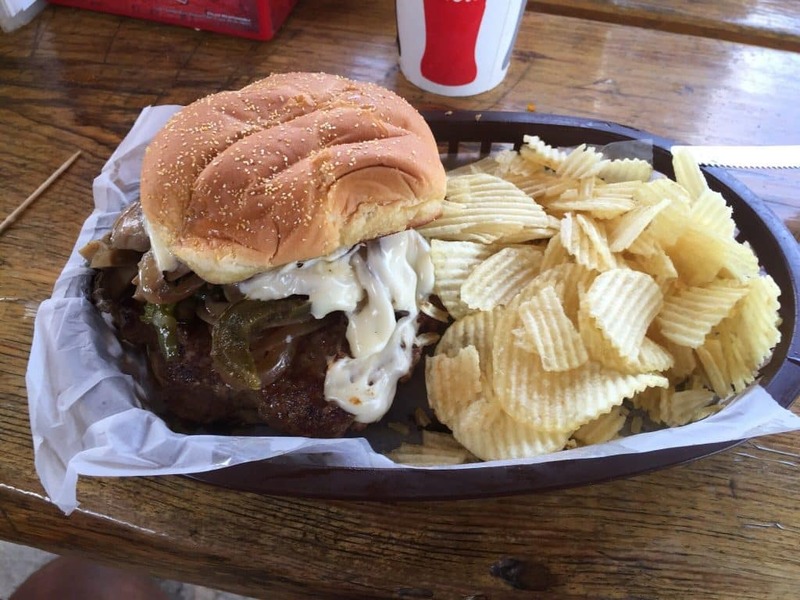 You can’t go wrong with a delicious burger from Cutter’s. 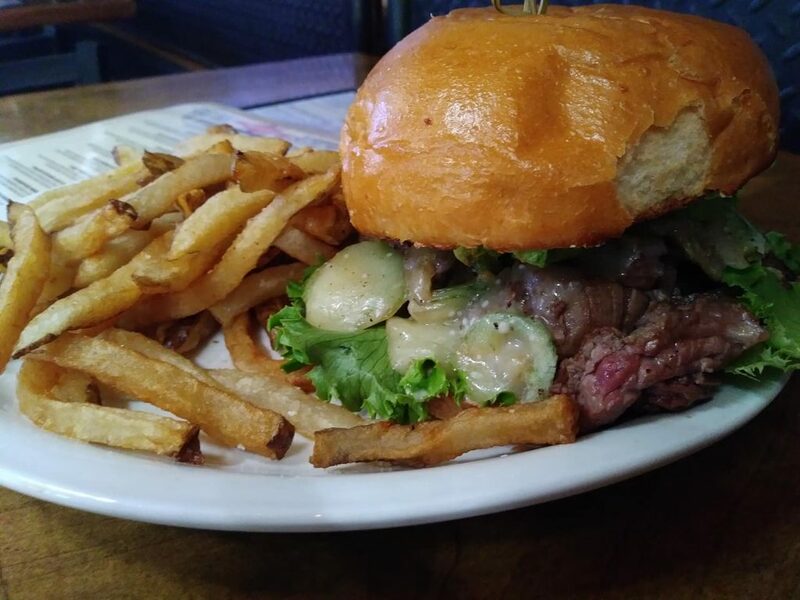 Get the stuffed cheese burger – tender beef full of cheddar & bacon, bleu cheese & green olives, Swiss cheese, mushrooms, grilled onions. Check out the most Instagrammable spots in Michigan here. This local landmark created the Jucy Lucy in 1954, when a local customer asked for two hamburger patties with a slice of cheese in the middle. 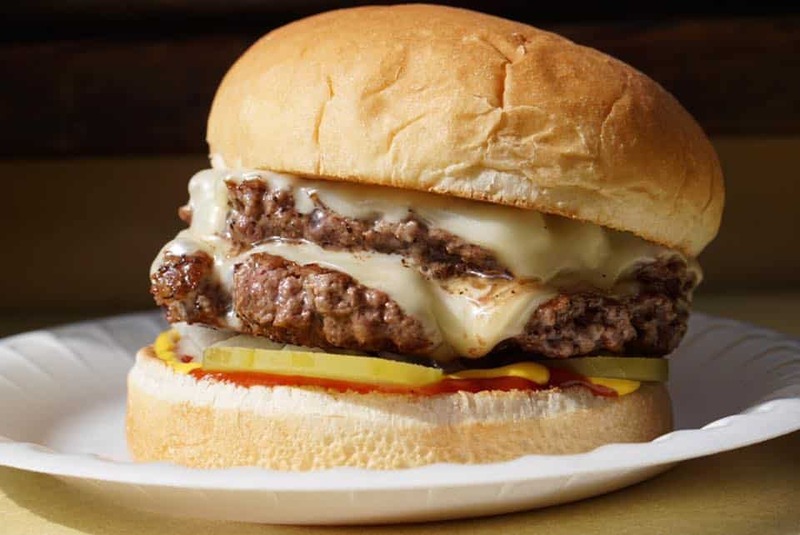 Each “Jucy Lucy” is carefully handmade with the freshest, high-quality beef and filled with the molten hot cheese you can only find here. Check out the most Instagrammable spots in Minnesota here. 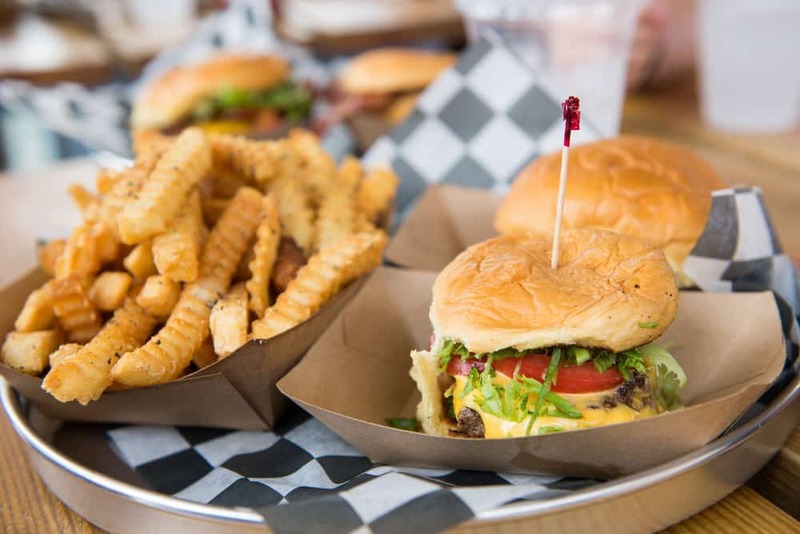 Located in the heart of Jackson, Mississippi, Fine & Dandy does classy American diner-style grub. Fine & Dainty is pure indulgence – creamy Burrata cheese, tomato pesto and fresh basil. Check out the most Instagrammable spots in Mississippi here. 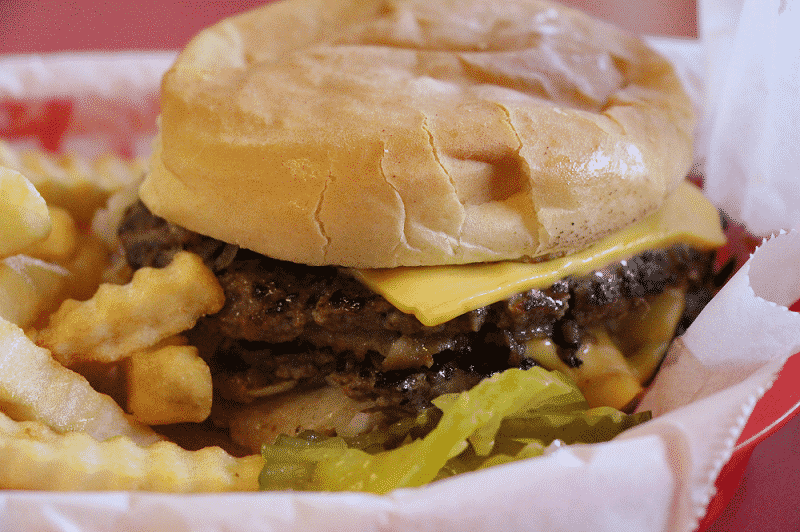 Kirby’s Sandwich Shop in Sikeston has been around since 1907, serving up classically great smashed burgers and fries. The menu is small and compact, yet has exactly what you need. Which is a super tasty burger. Check out the most Instagrammable spots in Missouri here. 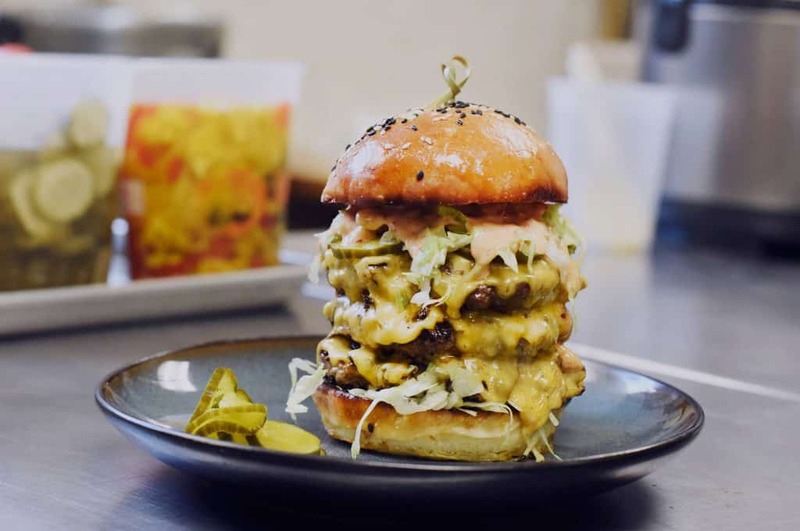 This quirky burger joint does big burgers that are also big on flavour. 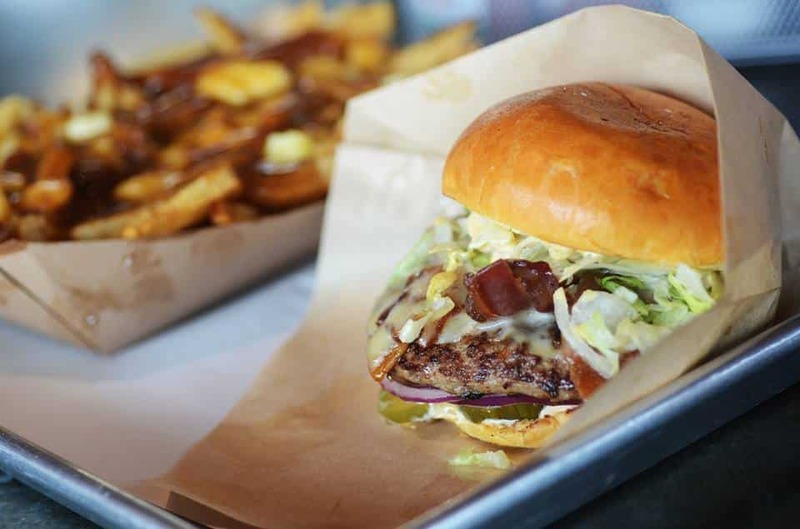 The Huckleberry burger is a modern class. Chow down on Huckleberry Hatch chili barbecue sauce, bacon, goat cheese, roasted red pepper mayo, arugula and served on a Grains of Montana bun. Check out the most Instagrammable spots in Montana here. 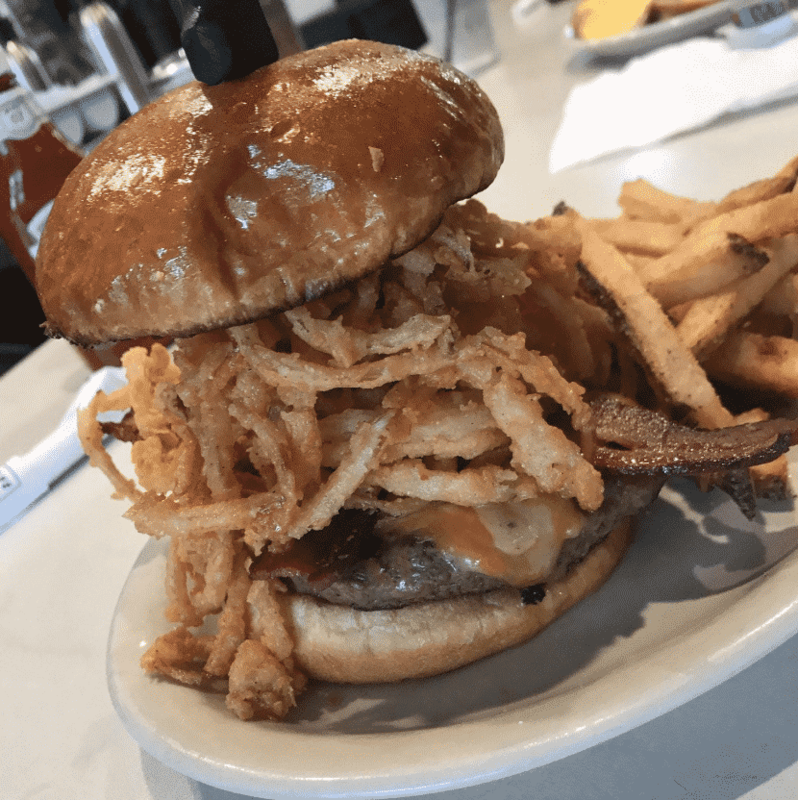 Continuously voted Omaha’s best burger, we’re going to officially crown Stella’s Bar and Grill as the best burger in the whole state. Their legendary Stellanator challenge is extreme: 6 burger patties, 6 fried eggs, 6 pieces of cheese, 12 pieces of bacon, fried onions, peanut butter… the list goes on. Check out the most Instagrammable spots in Nebraska here. This place is a must during any visit to Reno Tahoe. Their beef comes from a local butcher shop and is out-of-this-world. Try The Moo, The Cluck, and The Oink. 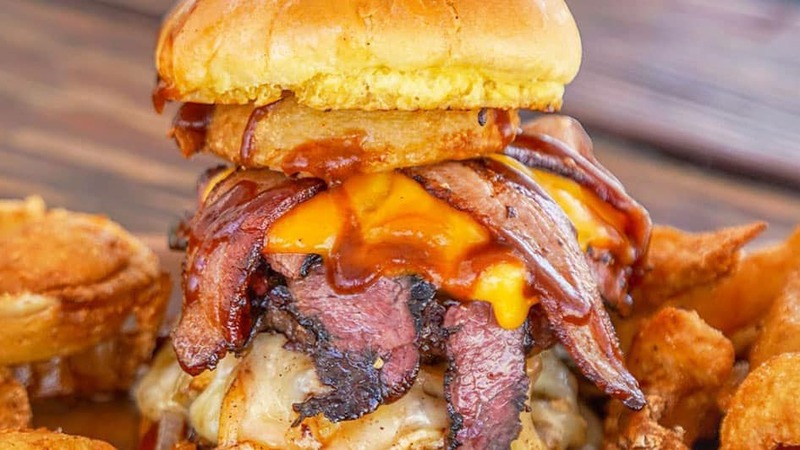 A burger topped with a chicken breast, pastrami, bacon, onion rings and cheese. Check out the most Instagrammable spots in Nevada here. This historic diner dishes up comfort food until late at night, so you can pretty much always get your Gilleys fix. The freshly grilled burgers and soft buns are so good that you could eat one 7 days a week – and look, we wouldn’t judge you. Check out the most Instagrammable spots in New Hampshire here. 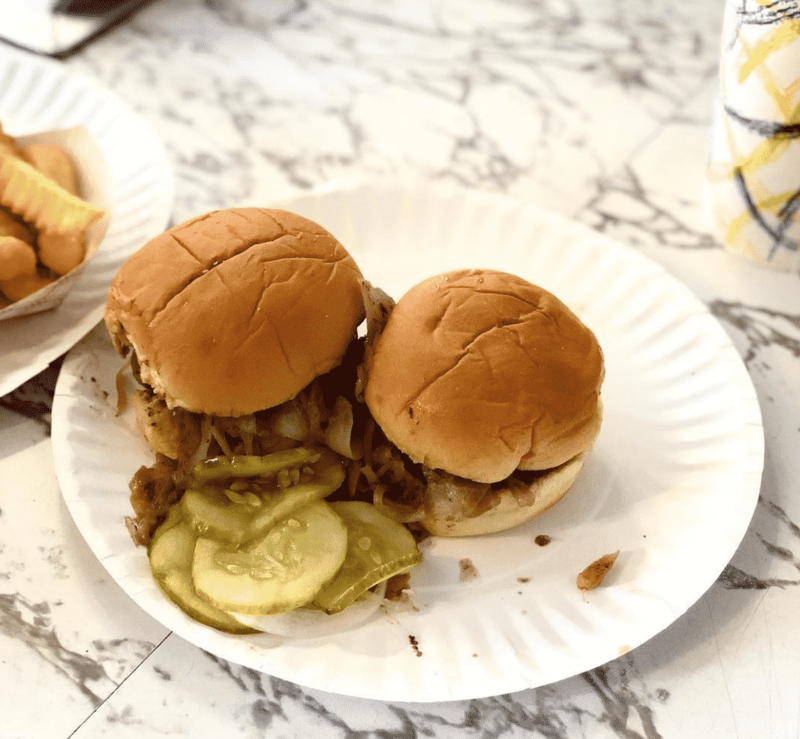 White Manna’s burgers are famous, serving up their yummy sliders alongside shakes and crinkle cut fries since 1946. 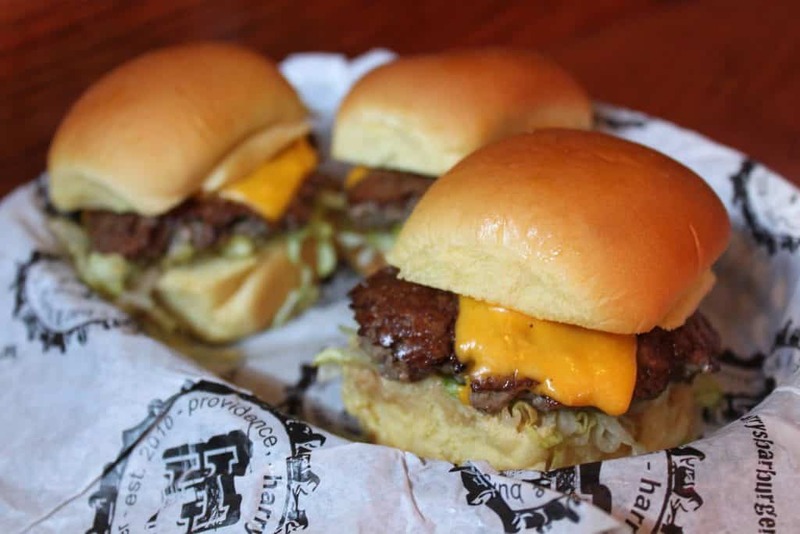 A New Jersey institution, order as many sliders as your belly can handle. Check out the most Instagrammable spots in New Jersey here. 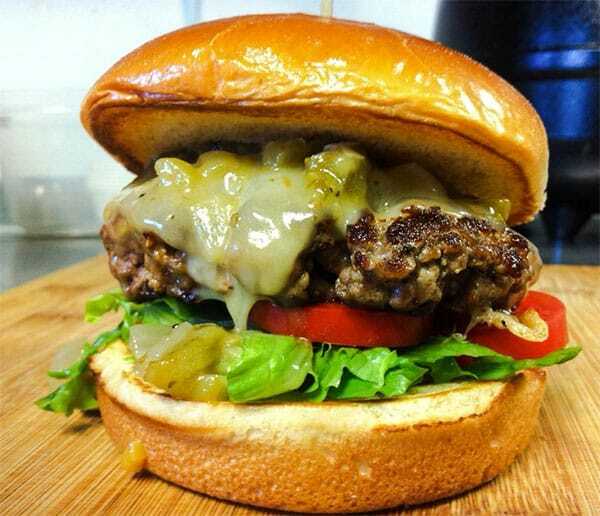 The classic New Mexico green chile cheeseburger is a work of art, so you can’t visit here without trying one. Boxcar’s version with New Mexico hatch green chile and melted cheddar cheese is the best of the best. Check out the most Instagrammable spots in New Mexico here. 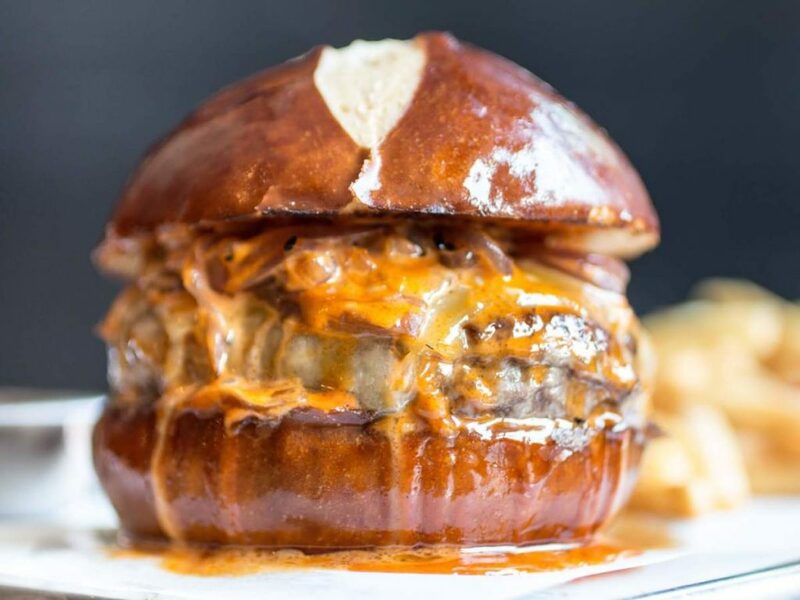 This cult-hit burger, the Emmy, is hands down the best burger in the whole of New York. 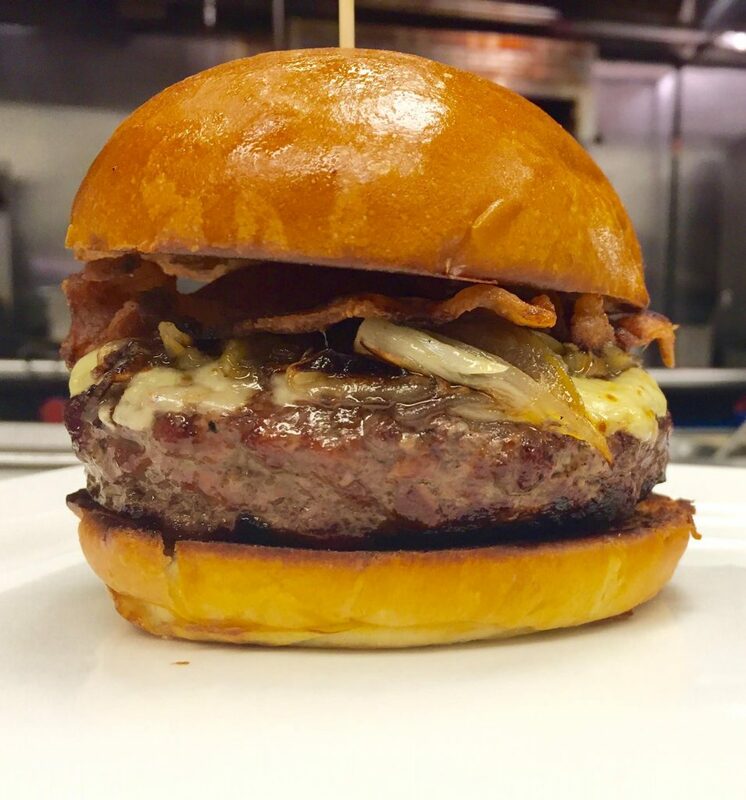 The dry age beef comes with caramelized onion, and Grafton cheddar, on a pretzel bun with cornichon & fries. Just be warned; it always sells out, so come early if you want any chance of tasting this. Check out the most Instagrammable spots in New York here. 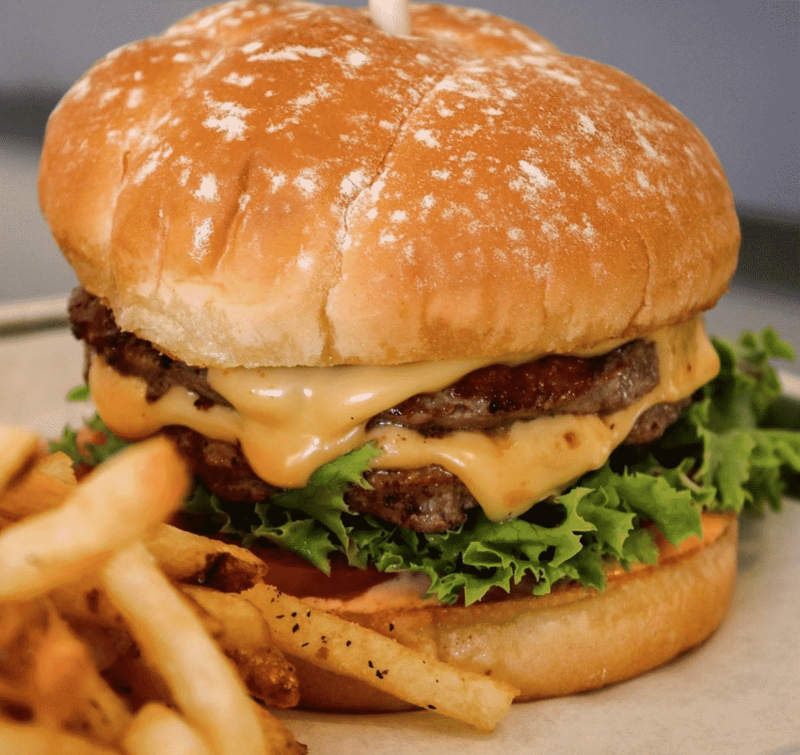 Soft, floury and juicy burgers are the name of the game at Al’s, and you’ll never leave here unsatisfied. 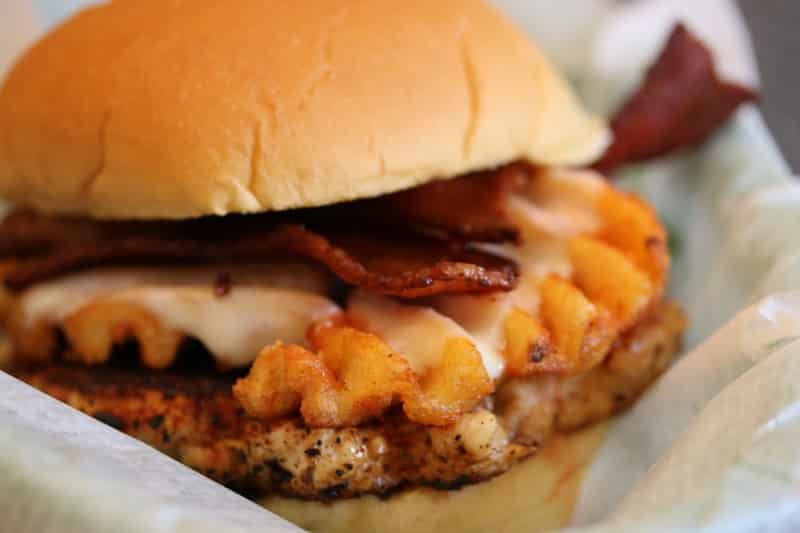 They only use the best local ingredients, and every day there’s a tasty special created by their mad scientist of the grill, Al. Check out the most Instagrammable spots in North Carolina here. Sickies Garage Burgers and Brews’ has an endless menu of outrageous Supercharged and Turbocharged burgers, each one tastier than the last. Kobe beef and creative toppings will win you over. These are burgers like you’ve never known. Check out the most Instagrammable spots in North Dakota here. Over 130 years after the hamburger was invented, two award-winning pitmasters found a better way to cook them. 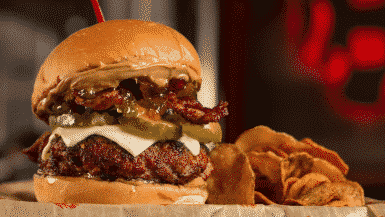 And so, these hickory-smoked burgers became the staple of an amazing burger chain. Wash it down with a shake. Check out the most Instagrammable spots in Ohio here. 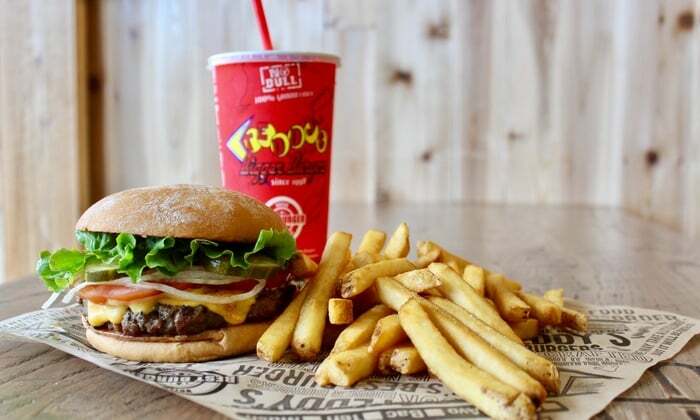 These guys are always busy for a reason: their delicious fresh ground beef is all-natural and hormone free, ethically produced by regional growers. Tucker’s has four convenient locations in OK, so you won’t have to go too far your fix. Check out the most Instagrammable spots in Oklahoma here. 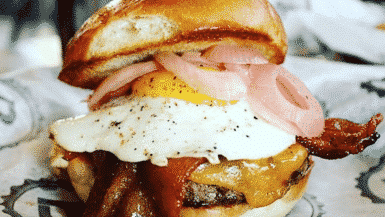 This stylish hangout is a Jack of all trades, but it’s their premium meaty burger that you should focus on. 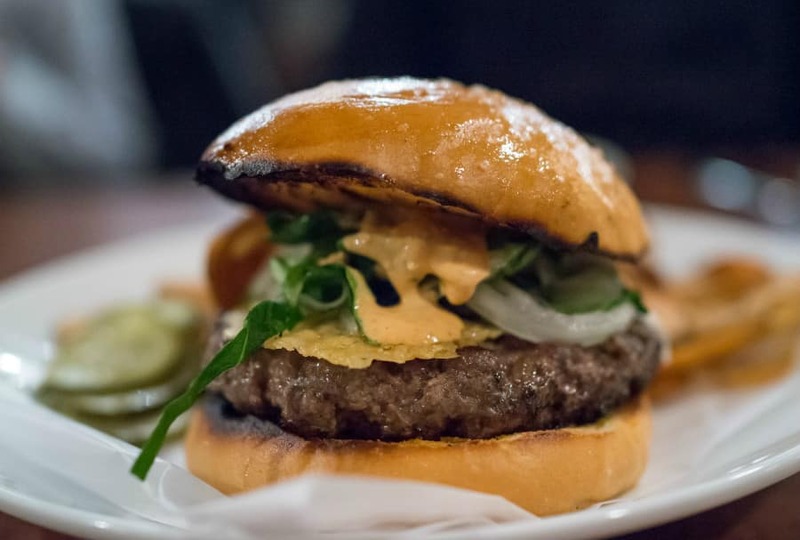 Perfectly charred and crispy, with two patties, pimento cheese and aioli, on a house-made brioche bun. Check out the most Instagrammable spots in Oregon here. 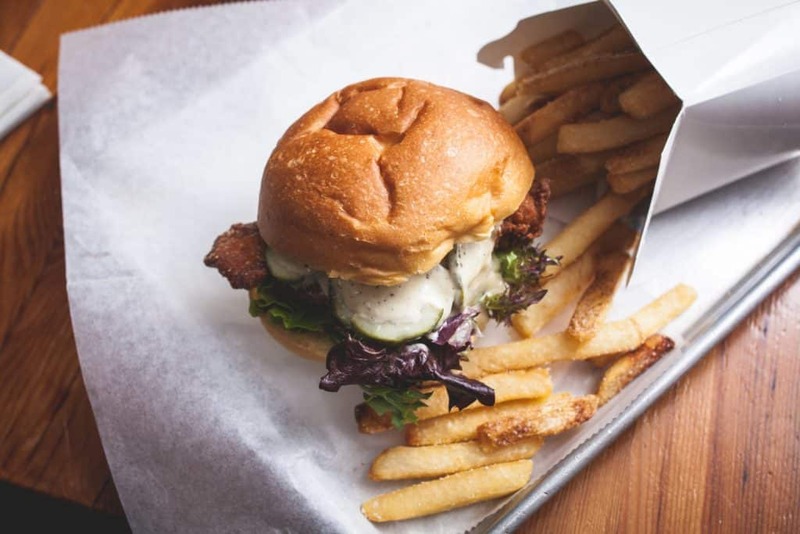 A local fave, KQ Burger dishes out inventive burgers, freshly cut fries, and fried chicken sandwiches with seasonal toppings. Get the Classic: cheddar, KQ sauce, roasted red onions, and add on some local mushrooms for an extra flavour boost. Check out the most Instagrammable spots in Pennsylvania here. Harry’s Philosophy is simple: The highest quality ingredients: 100% pure Hereford beef, fresh local produce = incredible taste and satisfaction. With an ethos like that, there’s nothing less than perfection. Check out the most Instagrammable spots in Rhode Island here. 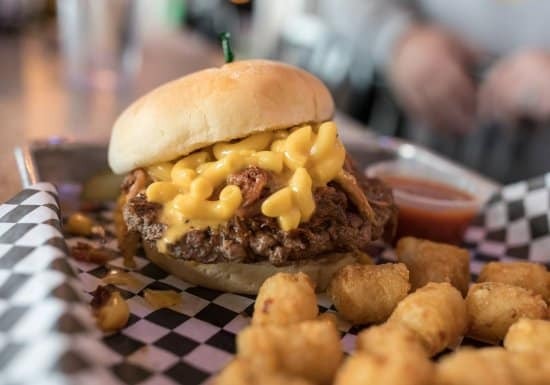 This no-frills dive bar has a loyal local following who come for sports and the divine burgers. Craving a burger that’s off-menu? No problem! They welcome “build your own” combinations, so you can go wild. Check out the most Instagrammable spots in South Carolina here. 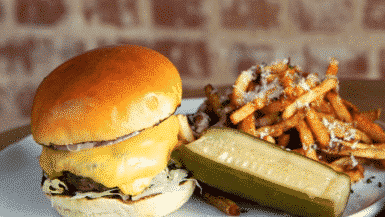 The burgers at this charming “mom and pop” joint are BIG. 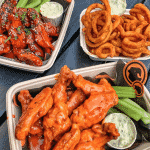 Big on flavour, big on portions and big on tender, juicy meat. Make it a double if you’re feeling like a real feast. Check out the most Instagrammable spots in South Dakota here. Burgers come dripping with flavoursome juice – the dream. 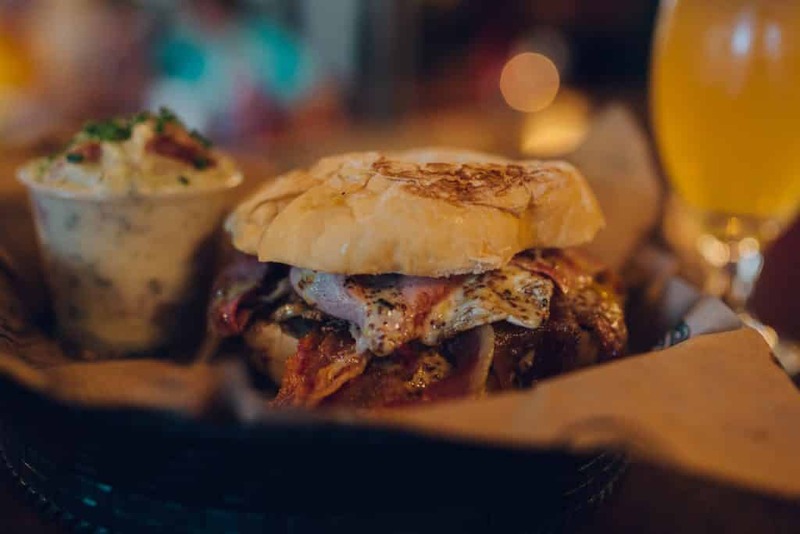 As well as legendary burger, they also have an impressive selection of German wurst and bier, as well as an old-school soda fountain serving ice cream sodas. Check out the most Instagrammable spots in Tennessee here. There’s a reason why these burgers taste so unbelievably good. 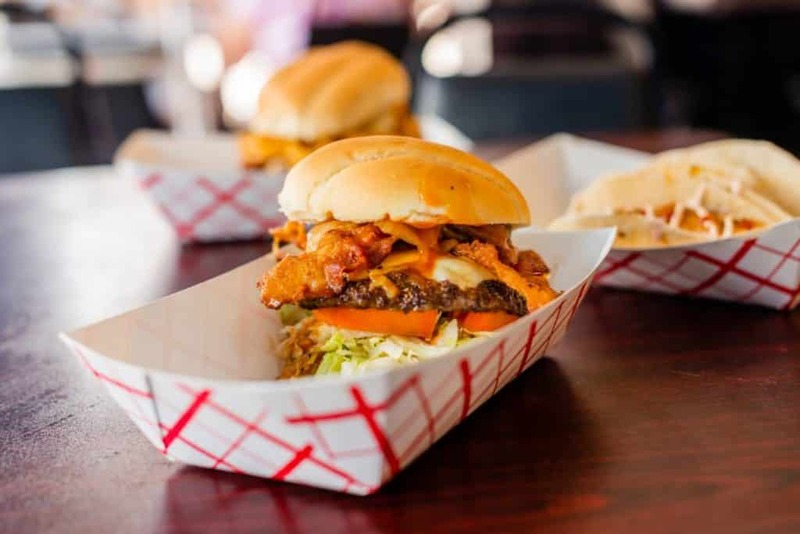 Bubba’s Texas Burger Shack has been serving Houston’s finest Buffalo burgers for over 30 years. Yep, prime, grass-fed Buffalo. You can taste the goodness in every mouthful. Check out the most Instagrammable spots in Texas here. 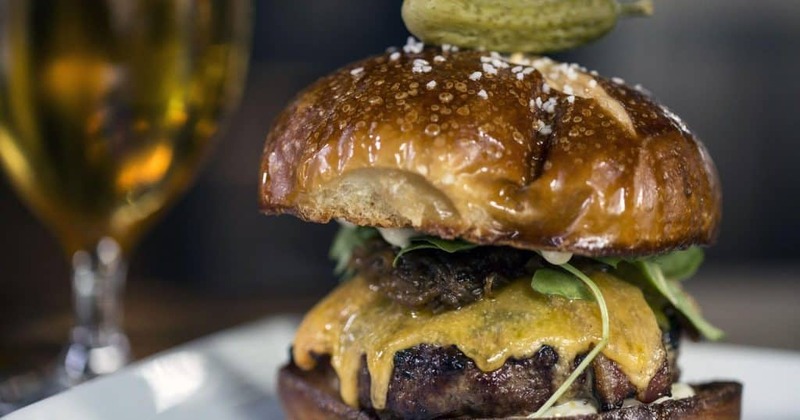 This upscale restaurant’s gourmet burger pushes all the right buttons. Their HSL Burger is a thing of beauty, with American cheese, pickle red cabbage and tomato jam with salt and vinegar fries. Check out the most Instagrammable spots in Utah here. Inspired by flavours from around the globe, the restaurant at ArtsRiot performance venue consistently impresses. It’s the burger though, that we’re suckers for. 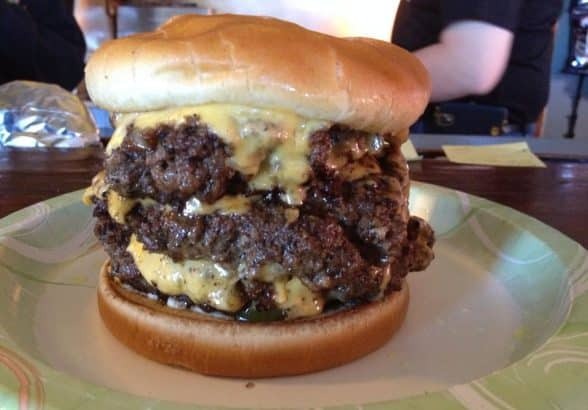 Get triple patties only if you can handle the beef. Check out the most Instagrammable spots in Vermont here. 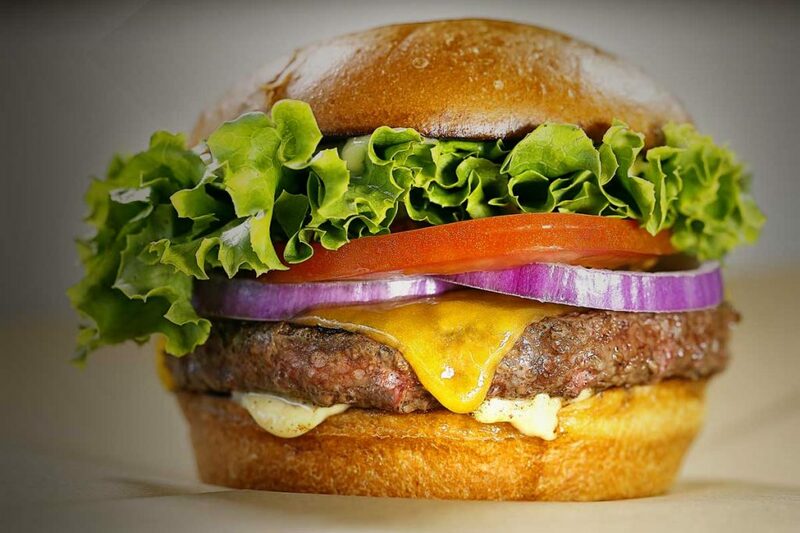 Basic Burger does exactly what its name suggests: burgers, done basic, yet perfect. Just the way they should be. Great beef, crisp veggies, fantastic buns, and their Basic sauce for that special twist. Check out the most Instagrammable spots in Virginia here. 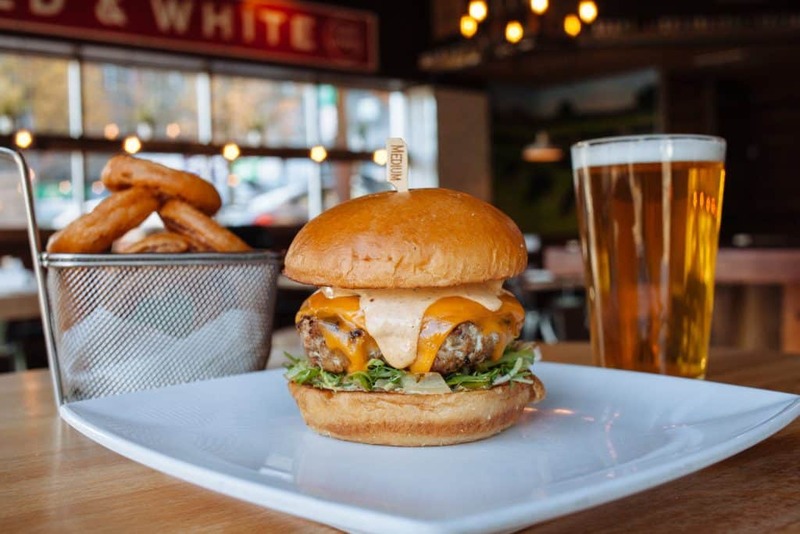 8oz Burger & Co has become a local favorite for burger lovers’ in the Seattle area and you’ll soon see why once you’ve taken a chunk out of their sustainably sourced beef burger. There’s over 16 burgers to choose from. Check out the most Instagrammable spots in Washington here. 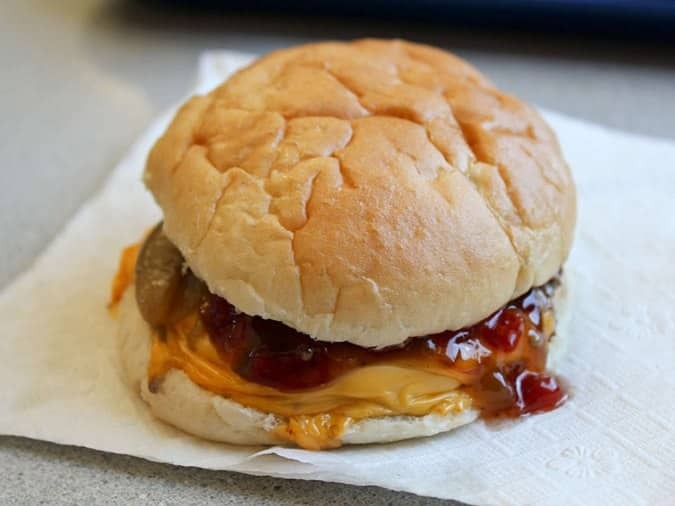 This lovely little eatery in Wheeling has SO many delectable burgers on the menu to choose from. Golden brown buns, crumbly tender beef and toppings including poutine and a blue cheese and pear. Check out the most Instagrammable spots in West Virginia here. North Avenue Grill has all you could ever want from a diner and more. 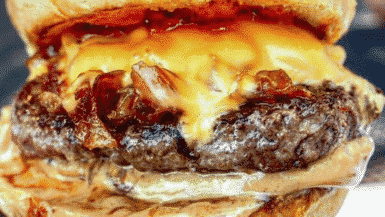 Like, insanely juicy and tasty burgers stuffed with gooey cheese and crispy onions. Friendly service is the cherry on top. Check out the most Instagrammable spots in Wisconsin here. 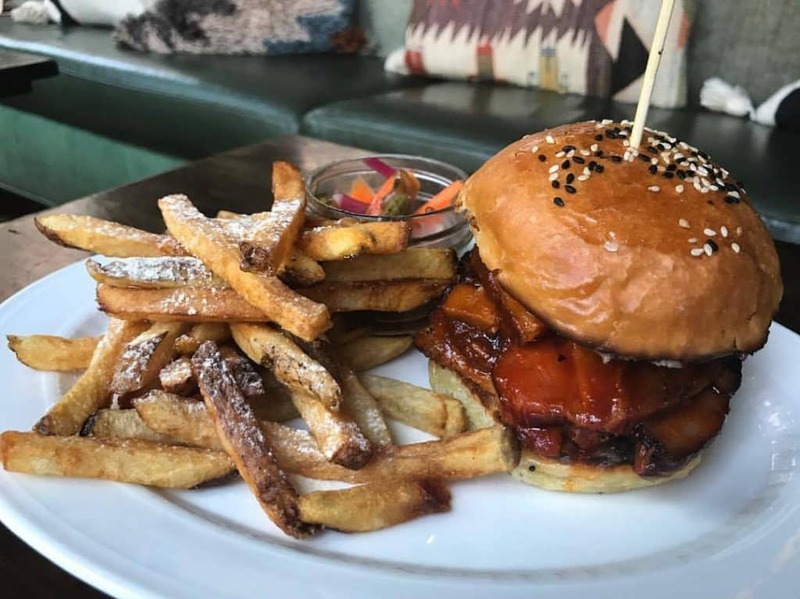 This cosy gastropub in Lander dishes out devilishly delicious burgers. 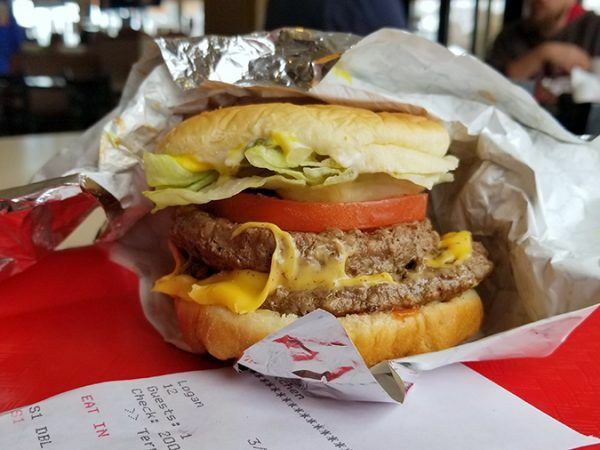 The burgers are big enough to fill even the hungriest of bellies, yet still perfectly sized that you can fit a bite in your mouth in one go. Perfection? You betcha. Check out the most Instagrammable spots in Wyoming here. 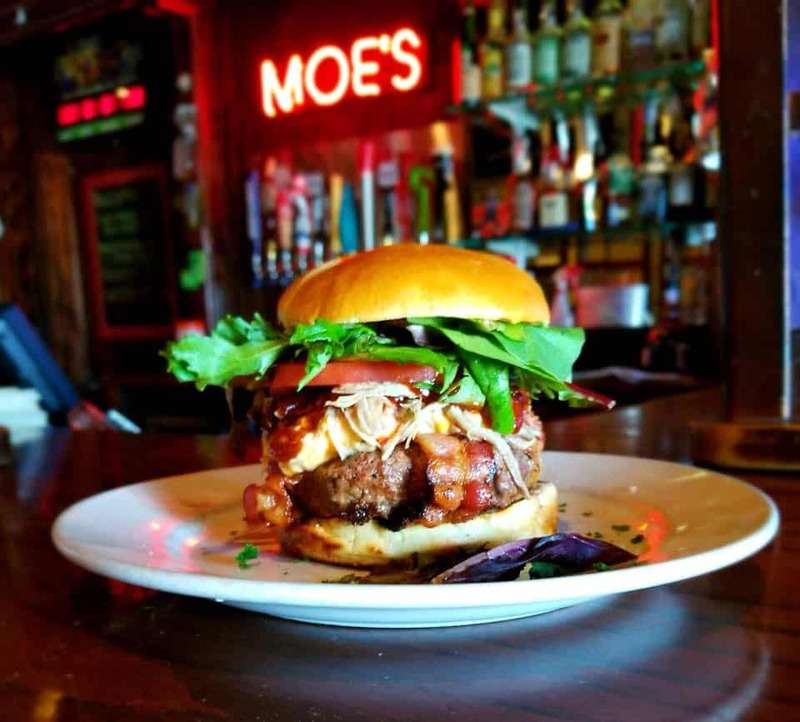 There’s another “Best Burger” the place is called “The Iron Horse” in Westwood NJ. Their burgers are super yummy made just right and sooooo juicy!! They put whatever cheese you want “ inside “ the Burger!! They also make their own pickles and coleslaw also very yummy. And one more … their Onion soup is mmmmmmm yummy!!!! You have to visit their !!!!!! !